Macao is more than a roll of the dice – it’s a sure bet for delicious food and raises the stakes when it comes to its culinary culture. Discover what makes Macao a world of its own in terms of cuisine, cultural sites and its unique events. Minchi: Perhaps the most iconic dish in Macao, minchi has many versions and interpretations. One safe bet: it’ll be tasty, whoever’s grandmother’s recipe is being used. 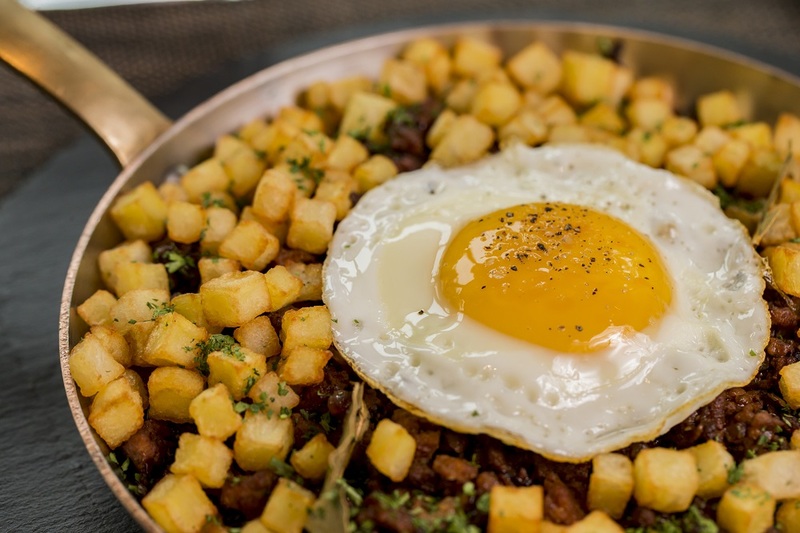 The basic recipe, however, includes deep-fried potatoes, white rice, and minced beef and pork, with a fried egg on top. How could you go wrong? Lacassá Soup: For a soup to pair your meal with, look no further than Lacassá, a delectable shrimp soup that had been a staple for Christmas Eve, a day of abstinence from meat for Catholics. Today, it’s good any time throughout the year and is a must-try soup that is classically Macanese. Pork Chop Bun: The Macanese pork chop bun is inspired by Portugal’s bifana sandwich, made with a unique Chinese twist. 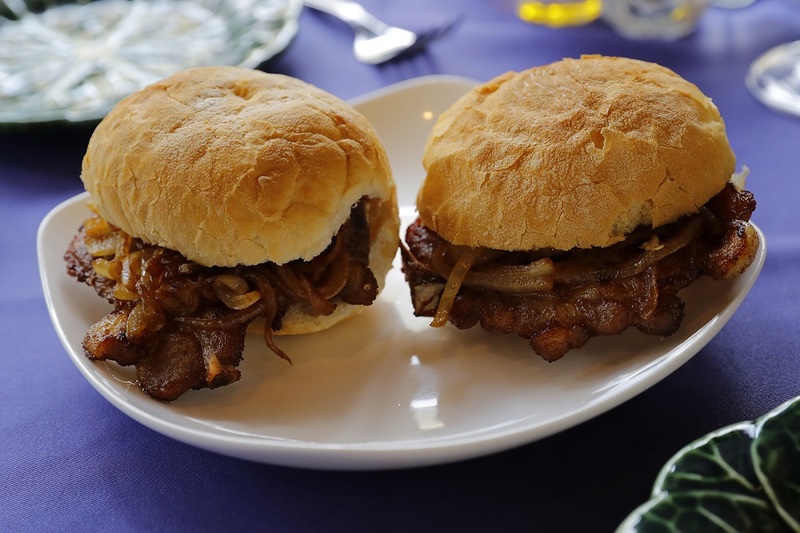 A staple of Macanese street food, the hand-held treat includes a pork chop marinated in Chinese wine, herbs, and Portuguese spices and served on a Portuguese-style bun. Portuguese Tart Pastéis de Nata: For dessert, chomp into this sweet custard tart. Besides being an undeniably perfect dessert, it also highlights the Portuguese influence in Macao. The Portuguese people have had a presence in Macao since the 16th century, so these amazing custard tarts have really survived the test of time, and they have only improved. Vinho Verde: Keeping with the Portuguese influence, for a nice glass of wine during dinner taste this smooth wine from Portugal. Meaning “green wine,” or “young wine” in translation, it’s a unique wine that can either be red or white and is usually consumed soon after bottling. Baijiu: Literally the most popular and most consumed alcoholic beverage in the world, baijiu is a great after-dinner sipper – but don’t be surprised if at first if it tastes a little funky! Much different than anything you’d find in the US, this extremely strong alcohol is a Chinese staple, and, well, when in Rome, right? 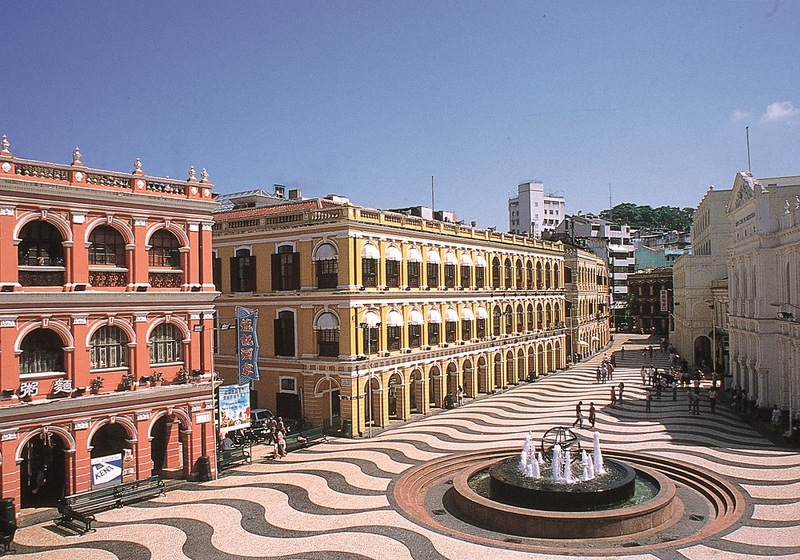 Just steps away from the glitz and glam, there are over 25 UNESCO World Heritage Sites in Macao. Check out these important gems. The Ruins of St. Paul’s: Maybe the most iconic landmark in Macao are the remains of what was the largest church in Asia in the early 1600s. Idyllically set at the top of a hill, what remains of this former masterpiece in architecture is still an astonishment, with stunning granite still intact, and even a grand staircase. 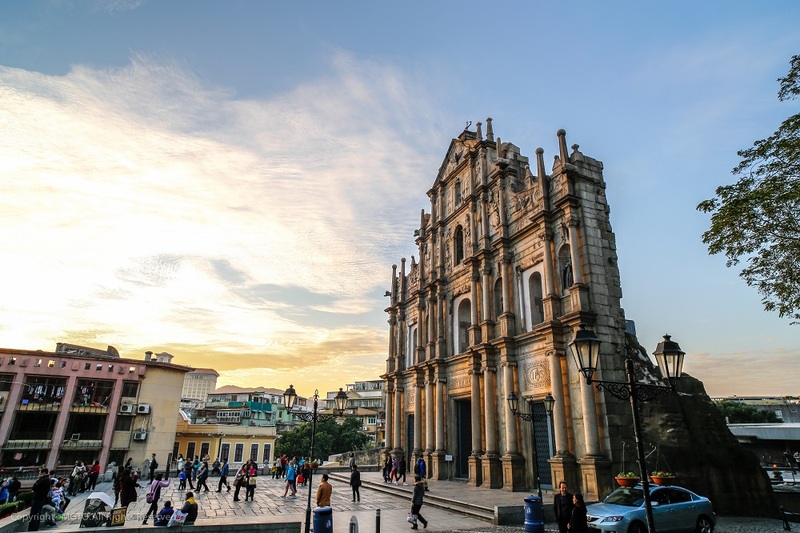 Reflecting Macao’s diverse background, the ruins here show a diverse history, with religious iconography traversing cultures and regions throughout Europe and Asia. Offering up great views, and also housing an informative museum, the ruins, as part of the Historic Centre of Macao, were officially listed a UNESCO World Heritage Site in 2005. A-Ma Temple: This one goes way back – to the 15th century! Truly one of the oldest sites in Macao, this temple actually was in existence before Macao itself. 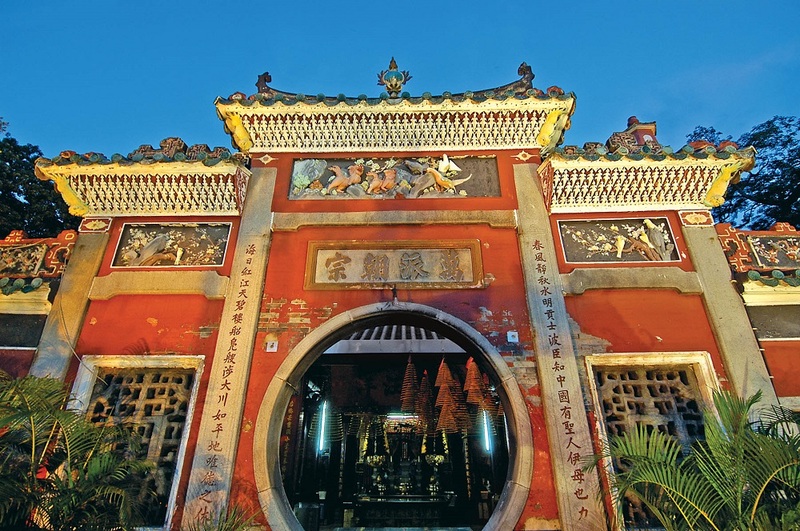 The site, also part of UNESCO’s designated Historic Centre of Macao area, features the Memorial Arch, Prayer Hall, and Zhengjiao Chanlin, a Buddhist pavilion. The various pavilions set up for worship also hint at Macao’s diversity throughout history and acceptance of various beliefs all in the same temple. Senado Square: Still a bustling square today, it goes back just as far into history, also recognized by UNESCO. Colorful, vibrant, and with a pretty stunning Portuguese pavement design made of looping waves, this is a square you don’t want to miss. It’s often decked out for holidays and other events, so it’s a real centerpiece to the city and the cultural moments that define the people. And a gorgeous fountain is the centerpiece of it all. 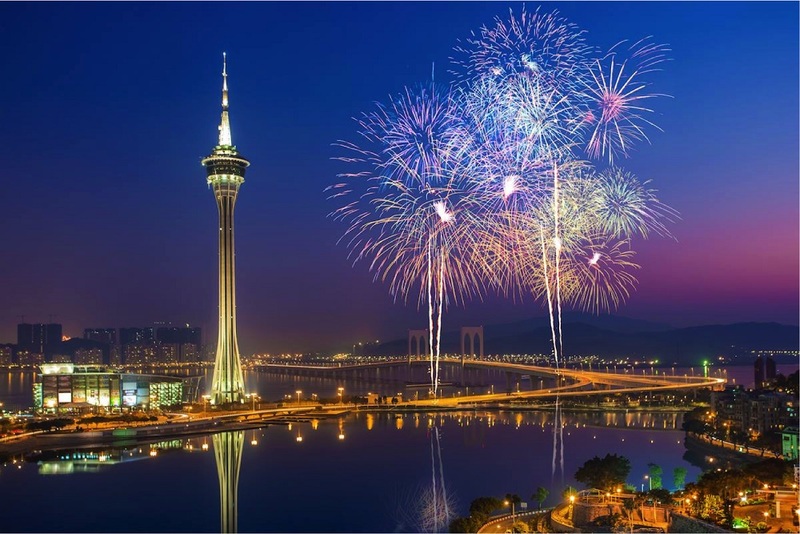 Macao International Fireworks Display: Less to do with history and more to do with… well – you’ll just want to see it if you can! This is more than a fireworks show; it’s a fireworks competition. The annual event is truly one-of-a-kind – from mid-September to October 1st, 100 fireworks teams from China, the Philippines, Thailand, Taiwan, Japan, Korea, Australia, the UK, Switzerland, France, Germany, Portugal, and Spain gather around for a literal pyrotechnic shoot-out. 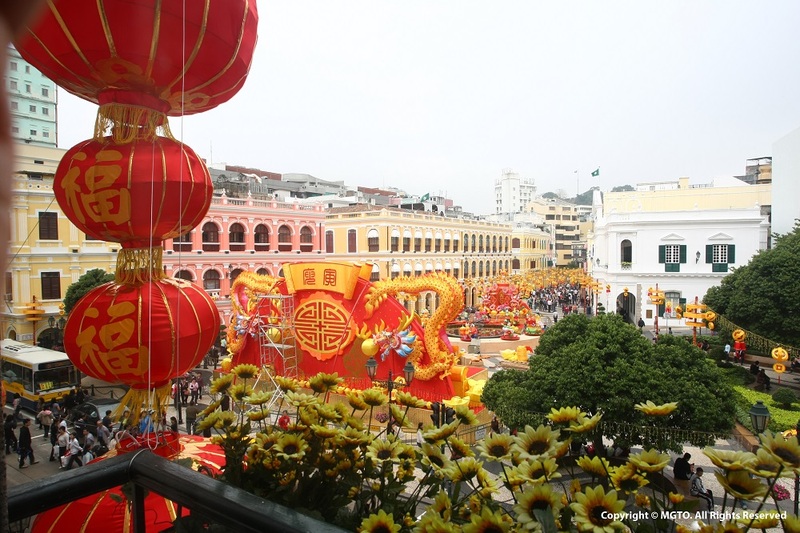 If you choose this time of the year to pop into Macao, it’s a show for the ages. There’s plenty of wow in Macao. Contact your local travel agent to book Macao through GOGO Vacations.